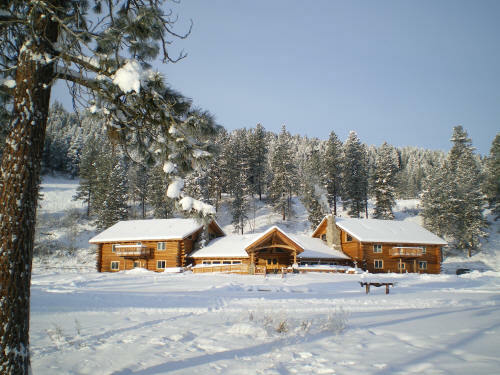 Okanogan Country is prime country for a horse vacation! Experience Okanogan Country in North Central Washington State in the age-old tradition used by trappers, settlers, and ranchers - on horseback! Live the West the way it used to be – through a working ranch vacation where you can ride the old trails, participate in a cattle drive, learn to rope, or attend a summer horseback riding camp. Our equestrian trails provide a beautiful and scenic pathway to the backcountry. Spend the morning with a horse riding lesson followed by an afternoon trail ride! Friendly and highly qualified Washington state outfitters conduct horse riding tours into the wilderness for a couple days or for weeks at a time. Or, you and your family could enjoy a relaxing trail ride on a sunny afternoon. Dude ranches and guest ranches provide a warm welcome and stables for your own horses, or you can make friends with one of theirs during your stay in majestic North Central Washinton. For hunting trips, family reunions, summer vacations, or just to get into the back country for some good fishing, horseback riding is a fun activity for the whole family. Contact one of the stables or outfitters and get started!